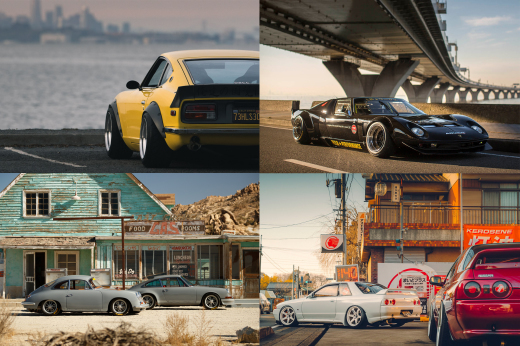 A new year brought fresh inspiration to the Nissan and TWR R390 project. 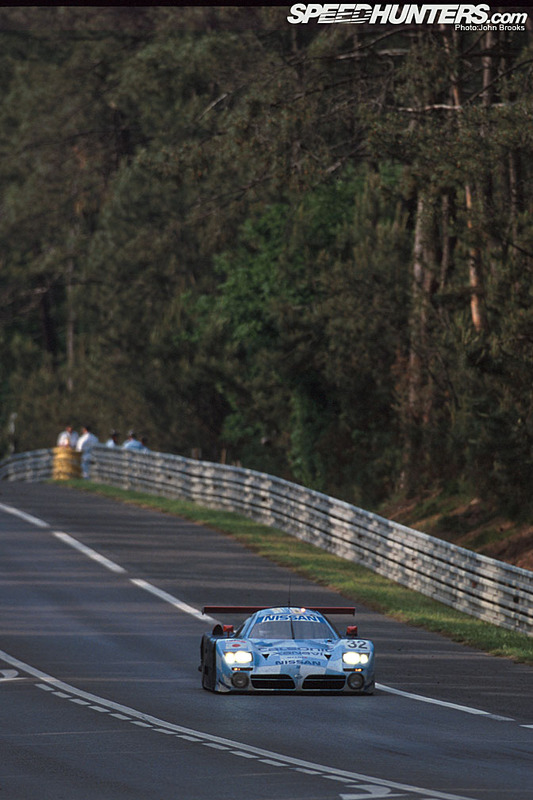 The disaster of the 1997 Le Mans race was analysed and the car underwent a transformation. The R390 grew by 13 centimetres, the rear wing was repositioned and the aerodynamics were altered to improve airflow over the rear. Most importantly the transmission was changed. The X-Trac casing was retained but all the intenals were now from Nissan themselves. The brakes were also new including an ABS system. There were three 98 spec cars and one 97 entered by Nissan Motorsports. The driver line up also changed with #30 having John Nielsen, Franck Lagorce and late replacement, Michael Krumm, #31 had Jan Lammers, Erik Comas and Andrea Montermini. Nielsen and Lammers were both former winners with TWR and Jaguar. 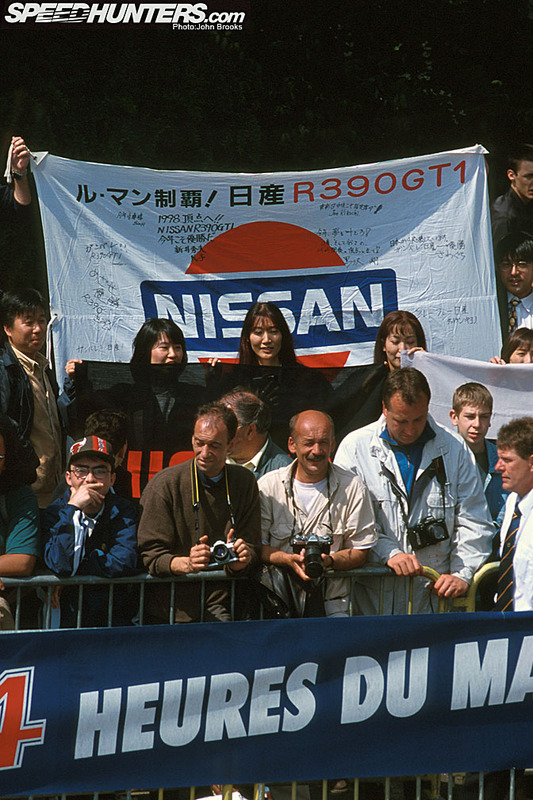 The #32 was an all Japanese affair featuring Aguri Suzuki, Kazuyoshi Hoshino and Masahiko Kagayama returning to La Sarthe to race once again for Nissan. A good balance of speed and experience with no weak links in the team. The fourth R390 was the ’97 car that Patrese, Van de Poele and Suzuki led the race with. It had been updated with the new gearbox and bodywork. It was run for Nissan by the Nova Engineering and had another all Japanese crew, Satoshi Motoyama, Masemi Kagayama and Takuya Kurosawa on driving duties. As in 1997 there was a Pre-Qualifying Weekend held during early May, the three factory cars all got through comfortably enough. 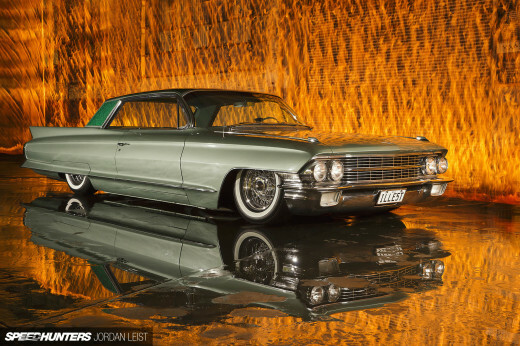 The session was reduced to just the Sunday and cars either ran in the morning or afternoon. Damp conditions early on meant that the scramble for place happened in earnest during the final 30 minutes of the session, When the dust had settled Franck Lagorce in #30 had ended up second overall with a time of 3:40:926, Aguri Suzuki was third precisely one hundredth of a second behind him in #33. In the afternoon session Erik Comas ended up fifth with 3:40.778 for #31. 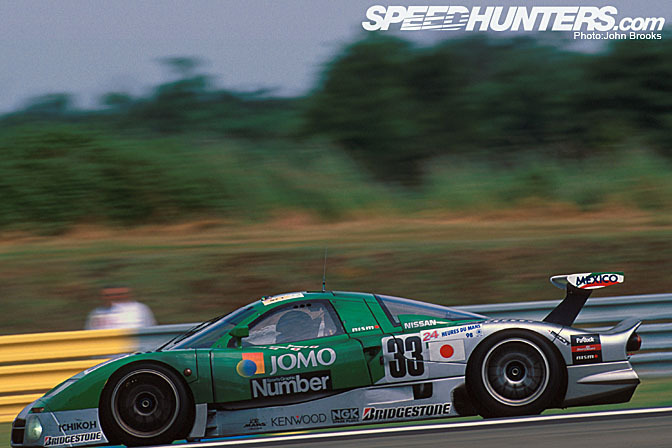 The real excitement lay with #33 who were out of the race until the last lap of the session when Satoshi Motoyama put in an absolute flyer to squeeze out the Zakspeed Porsche. He was calm about his achievement, “I was radioed from the pits that it was the last lap, which meant I had one final chance to attack, but I tried not to think about it and just did my best.”. He had also earned a drive in the race itself. Once again the teams and drivers lined up for the portrait session in the Place des Jacobins with Nissan getting some very welcome support in the crowd. The question was would the R390 be quick enough to stay with the new generation of GT1 cars from Mercedes Benz, Porsche and Toyota? It was thought that they would be reliable as the work that had been done in the previous 12 months would ensure that there would be no repeat of the horrors of 1997. Bernd Schneider claimed pole position in his Mercedes Benz CLK-LM at 3:35.544, a whole 7.8 seconds faster than the 1997 GT1 best. Lagorce in #30 managed a lap of 3:40.649 with Lammers getting down to 3:41.621 in #31, Suzuki 3:42.397 in #32 and Kurosawa bringing the ’97 spec car in at 3:45.293. So the Nissans would line up in 10th, 13th, 14th and 19th, would that do? Would the reliability card be enough to bring the project the success that it so desperately needed? The answer to that question was different depending on who you asked it of. 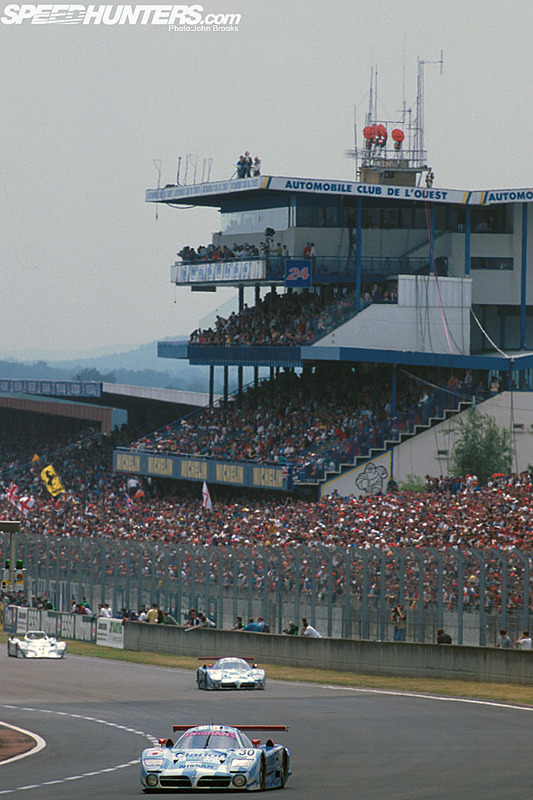 1998 was indeed a year of transition in how manufacturers went racing at Le Mans for 24 hours. Until that point teams would nurse cars along to get to the finish, of course there had to be a certain amount of speed. Major level manufacturer participation in the race ended in 1993 with the passing of the 3.5 litre Group C cars. For the next four years the race was won by private teams, even though there was varying degrees of back door support. For 1998 there were full blown factory teams from Porsche, Mercedes Benz, Toyota, BMW as well as Nissan, all of whom developed new cars. It was also a time when the quality control practices that had been established in Formula One and World Rally became fully established in endurance racing. Talking to Allan McNish about this period he said that 1998 was the year that everyone was forced to race flat out right from the beginning of the race, with the pace of the new GT1 cars there was no alternative. There were too many good cars around and in his case the Porsche was relatively easy to drive at the maximum and it was bullet proof. So tenth place on the grid was probably as good a performance as could be expected, behind 2 Mercedes, 2 Porsches and 3 Toyotas and a couple of LMPs. Another way of looking at the massive leap in performance. In 1997 only the top two cars qualified in the 3:40 to 3:45 bracket, in 1998 there were 22 with a further 7 in the next category 3:35 to 3:40. 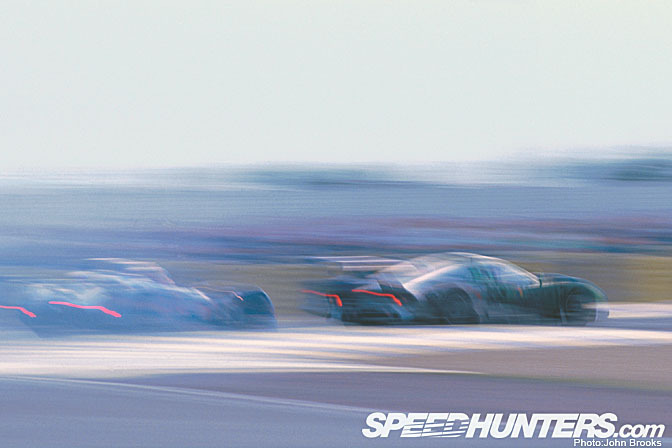 This is the problem that the R390 faced, 1997 levels of speed were just not quick enough. The race got underway and the Nissan quartet played no part in the early battles for the lead Brundle’s Toyota and Schneider’s Mercedes leading Martini in the BMW and McNish in the Porsche. At the one hour point the R390s were all on the lead lap and in the top 20. 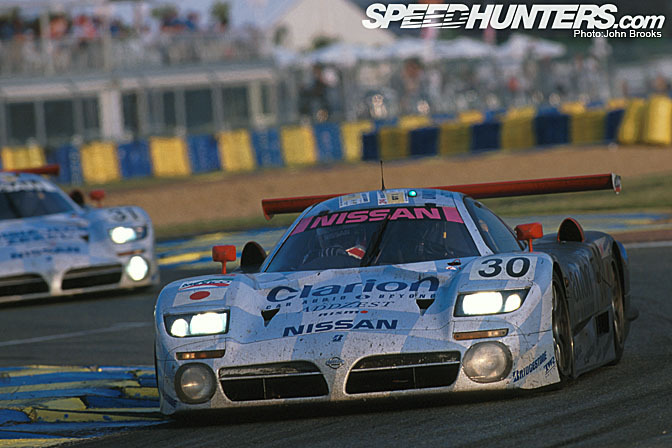 In the second hour things began to swing Nissan’s way as on the 19th lap as Bernd Schneider’s CLK-LM stopped just past the pits. A problem with the power steering oil pump meant that the whole engine lubrication system failed and the car was retired on the spot. A few laps later and Jean Marc Gounon brought the sister car into the pits suffering from the same terminal condition, two leaders down and out. Next it was BMW’s turn to have an embarrassing failure. Both cars were withdrawn before the fourth hour with suspected wheel bearing failures. Another two leaders out. So now it was the three Toyotas and the two Porsches. Then the Toyota armada hit problems, Suzuki in #27 had a transmission problem that dropped them down the order as did Helary in #28 who had issues with the brakes as well as the transmission. At the fourth hour #30 was 4th, #31 fifth, #32 9th and #33 11th. This was getting interesting for Nissan. Into the dark the #30 kept up the chase but the #31 lost six laps having to replace the front hub carrier. the other two R390s were chugging along, just not able to live with the Porsche/Toyota express. Just before Midnight the #29 Toyota had gear cluster problems and the stop to rectify this cost four laps, #30 was now third, three laps down on the Porsches. #31 lost more time when Lammers fell off the track at the Porsche Curves, cleaning up the damage dropped the car out of the top ten and put eleven laps down on the leader. Rain fell on part of the track during the darkness, the wet/dry conditions made driving especially difficult on such a long lap. Masemi Kagayama skated off at Porsche Curves, inflicting severe damage on the #33 R390’s left hand side. Repairs took an hour and a half, pitching the car out of the top ten and down to 24th. #30 lost 15 minutes in the night with a fuel pump problem which promoted #32 to fourth. There were sundry other delays including ~32 and #33 colliding in the pit lane, all of which meant that the R390 squad were not in a position to capitalise when the two Porsche 911 GT1 98 s hit problems, Muller having a spin and McNish suffering a water leak costing both cars time in the pits. Further niggling problems to #30 such as fitting a new rear wing and screwing up the flat bottom dropped the car further down the order. 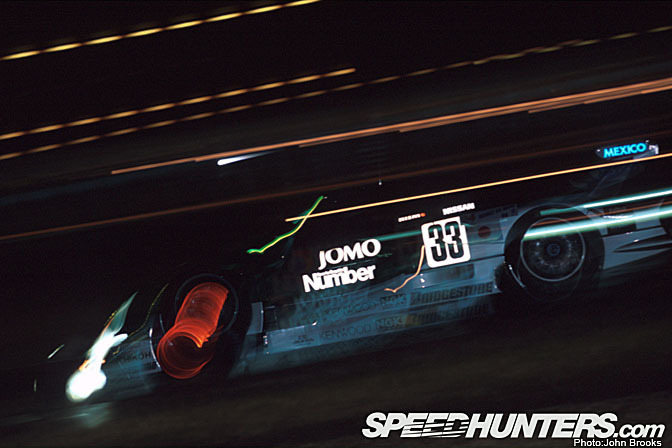 #32 was running fourth, which became third in the final two hours when the surviving Toyota gave up the ghost and the lead to the two Porsche, a podium beckoned for the team. And so that’s how it turned out, third place and podium finish for the Japanese trio of Aguri Suzuki, Masahiko Kagayama and Kazuyoshi Hoshino. 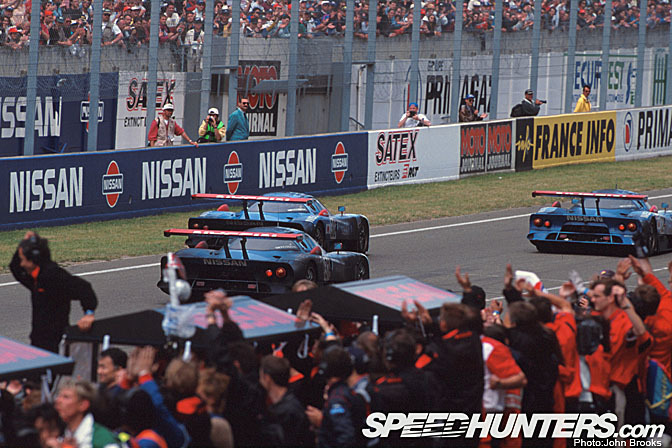 Adding to the sense of relief that Nissan’s management must have felt in getting some sort of reward the other three R390s into 5th, 6th and 10th places. Tokyo … Nissan Motor Co., Ltd. today announced that the company, upon mutual agreement, has decided not to renew its two-year contract with the British engineering firm TWR at the end of July as planned. 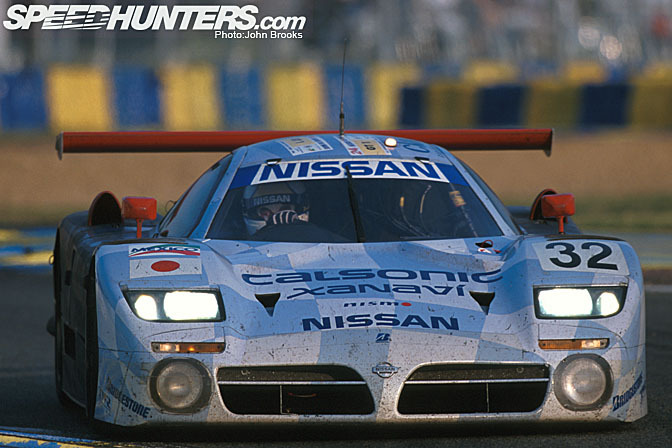 Under the contract, Nissan jointly developed the Nissan R390GT1 with TWR and participated in the Le Mans 24-Hour race in 1997 and 1998. Activities under this Le Mans project that have been carried out in the U.K., will be transferred to Nissan Motorsports International Co., Ltd., (NISMO), Nissan’s motorsports arm in August. The dream was over and this time it was also the end of TWR and Le Mans. 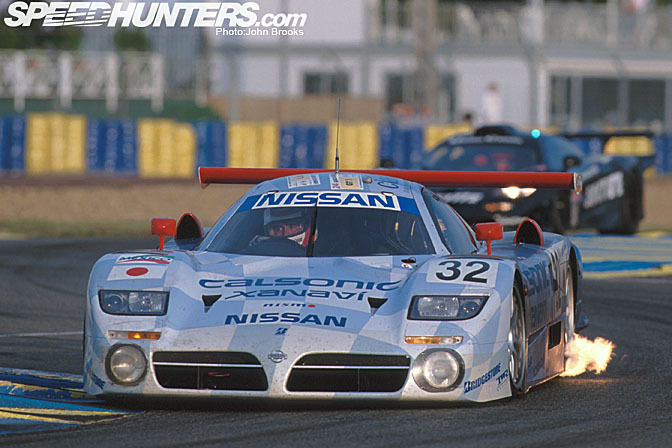 Nissan returned to La Sarthe in 1999 with the R391 prototype but a massive accident involving Eric Van de Poele on Wednesday practice meant that only one car started. This retired early on. 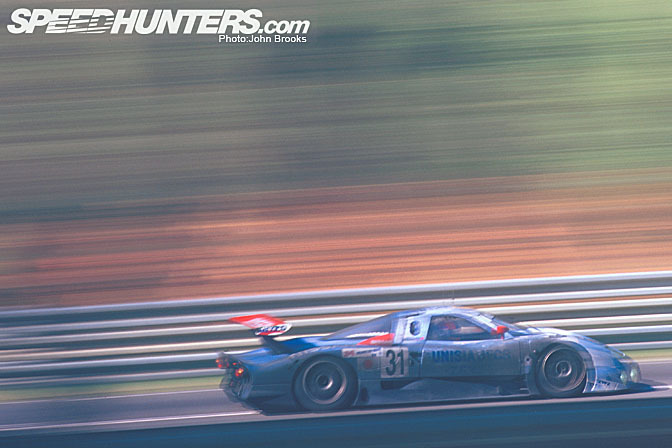 The R391 did get one more outing defeating the Toyota GT-ONE in the Fuji 1000 Kilometres later that year. Nissan was facing all manner of financial problems and new boss Carlos Ghosn had no hesitation in stopping a costly programme that had only yielded one victory in five years. The Nissan R390 was an elegant car conceived to win Le Mans under one set of circumstances but failed to keep pace with the developments that the likes of Toyota, Mercedes, BMW and Audi were prepared to make. I remember when John first released these photos. Damn I feel old. i won a lot of races with dis car in gran turismo 2 jaja awesome car! !, why is there a MEXICO sign in the wing?? anybody knows? why was it a disappointing car? @lietzkenick...........it failed in its mission to win at Le Mans and lucked a podium............what odds would there have been against both Mercedes and both BMWs being out before sunset............the project cost Nissan a fortune and did not achieve results. @gueask...........MEXICO was support from the new Nissan factory in Mexico...........why? Who knows? Oooh, it's such a pretty, pretty car ('cept perhaps the Demon Tweeks-special tail lamp clusters!). I always found it strange that Nissan just never seemed to get to grips and really understand and keep pace with the way things were going developmentally the way the other manufacturers did. 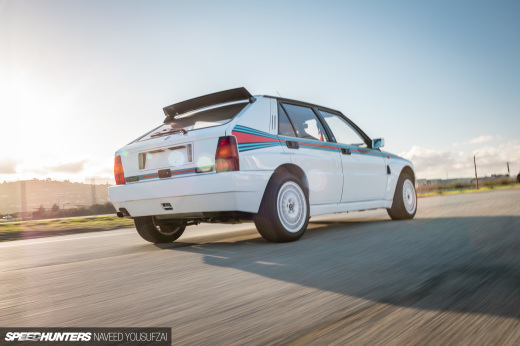 They always seemed one step behind in their approach, from the mid-nineties Skyline right through to the R391, which in itself was a fairly cumbersome beast aerodynamically compared many of it's contemporaries. Strange, very strange, especially when you think how much they spent! This is the problem I have with rooting for Japanese racing teams. If they don't come in like gangbusters and win it all they quit. I am one of those people that respects heart and effort. If a team gives their all and still barely makes top ten I am still proud of the effort everyone put in to achieve that result. This is why I am a fan of Force India and STR. 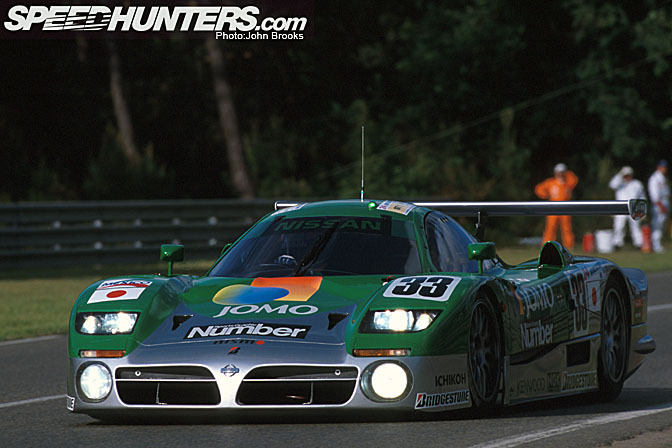 I loved the r390, the gt-one, and the GT500 class cars that were entered in the past (Sard supra, GTR-LM). Its a shame that the manufacturers have this attitude. Imagine if Koguchi quit drifting because he didn't win D1 or Ford/Jaguar/RBR quit during those winless years. I am a fan of motorsport and competition. I support teams and manufacturers based on effort not victories.